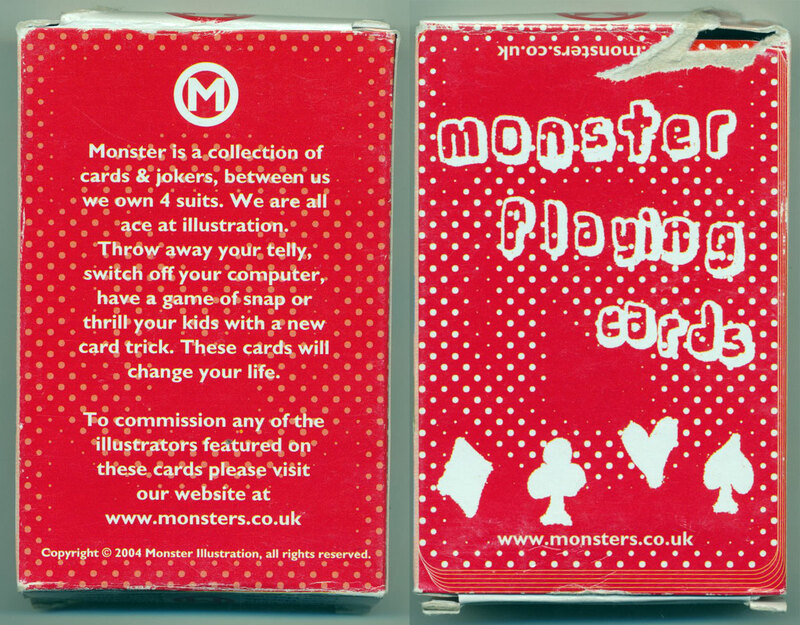 A collective of artists known as Monster Illustration produced a deck entitled “Monsters” in 2004, each of the 54 cards having a different piece of art. 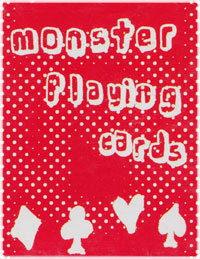 Above: “Monsters” pack of illustrated playing cards. Copyright © 2004 Monster Illustration. Images courtesy Matt probert.